Affordable web design Hornsby. SEO included (Google search ranking). 20+ yrs exp. No lock-in contracts. Wordpress websites Hornsby. Moving Bodies have been clients of mine since I started my business back in 1996. They were only a young business then too so we have both grown and evolved together which has been very exciting. I developed the first Moving Bodies website over 15 years ago. During this time, their website has gone through three incarnations. First their website has evolved as their business has grown and services changed. Secondly, the website has changed so as to stay abreast of website design styles and ensure the website provides a convenience and easy experience for their customers. The latest upgrade meant converting to a responsive, mobile-friendly website design. There was also the addition of content management functionality as growth within the company meant they now had the resources to manage their website in-house where previously I undertook this role. Several training sessions were undertaken so the staff became confident enough to take over the management of the website. And finally, I also devised a comprehensive search engine marketing campaign to assist with the companies expansion into new products, services and interstate. I highly recommend Rebecca from RAM Marketing! Rebecca has worked on our website for over 15 years. From a small business, we have grown into a company that offers several services. Rebecca not only kept our website up with the changes that we underwent, but each time offered new & exciting looks that kept our website fresh, exciting and ranking one of the best! Thanks to Rebecca, our website has seen a huge increase of visitors. Her knowledge & experience is evident through her vast amount of ideas she continually offers and works hard to ensure that we are always happy with the result. – Rebecca Ross, Director. Moving Bodies have been keeping children moving since 1994. Their in-school programs provide physical education programs for NSW & Victorian schools. 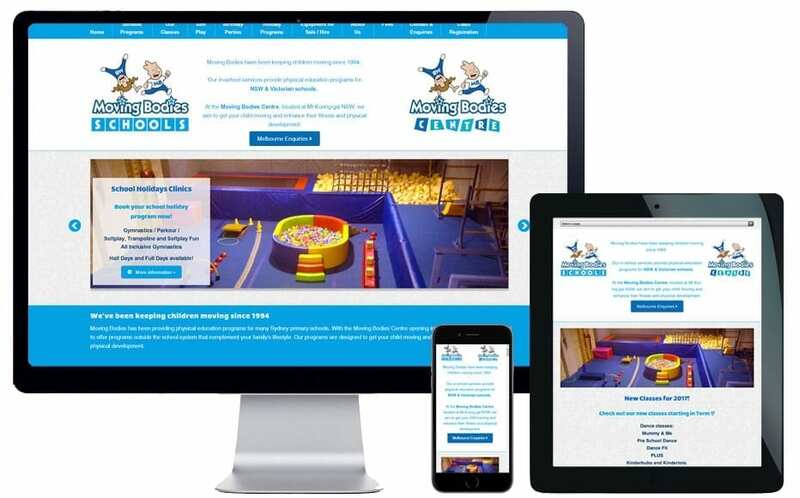 At the Moving Bodies Centre, located at Mt Kuring-gai (Hornsby) NSW, they offer kids gymnastics classes, kindergym, fitness, dance and physical development classes for children. Additional services include an indoor softplay centre, school holiday programs, kid’s gymnastics birthday parties and softplay equipment hire. There has been recent expansion to Melbourne. 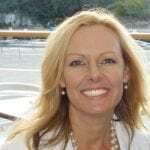 Rebecca Mitchell, founder of RAM Marketing, has been providing professional website design, SEO, online marketing and graphic design services to Sydney businesses since 1996. One of Rebecca’s most distinguishing points of difference over other website development companies is the advice, knowledge and expertise she provides her clients at no additional cost. Importantly, Rebecca don’t just design your website and send you on your way. Her goal is to ensure your business achieves success online, every day, and is noticed by your potential clients and customers. Rebecca provides expert SEO services to ensure your website ranks top of Google. She can also manage your website, social media and online marketing on your behalf. Her search engine marketing (SEM) and internet marketing services guarantee your business stays abreast of Google’s strict algorithm requirements and is being seen by potential customers every single day. In 2015 Rebecca expanded her services to include a growing range of internet marketing courses and search engine marketing (SEM) consultancy services. Workshops include SEO training, learn social media and how to set up a successful online business course. For more information, contact Rebecca Mitchell direct on 9982 5057 or complete our online enquiry form.